We offer a wide range of Brass Forging Components, which are manufactured from the optimum quality metals which ensure their long durability. The manufacturing process involves latest upgraded technology, which has empowered them with high level of efficiency. Further, we own a capacious warehouse, where these components are stored safely. We are the specialized manufacturer and exporter of Brass Hot Die Forgings, which ranges from Hot Die Forgings of Brass, Aluminium, Stainless Steel, Copper Alloys, Aluminum Alloys (H15, H30, H9) and Hot Forgings of other Non-ferrous Metals. Further, the basic raw material that we use, is in the form of extruded rods having close and consistent grain structure and well maintained chemical composition. Additionally, these Hot Die Forgings are of superior quality as they are manufactured from high quality raw materials. Moreover, we offer these products at virtually unmatched prices in market. 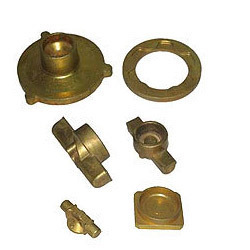 We bring forth wide array of Brass Forged Components to our esteemed clients that are manufactured precisely making use of advance technology and machinery. Acclaimed worldwide for superior quality of our products, we are garnering the needs of diverse industries such as Automobile Industries, Chemical Industries and many more. Further, our range of products is extensively used in Railway Brake system and Gas and Steam Pipe fittings. We can also offer customized products as per requirements of our clients at a very reasonable price. 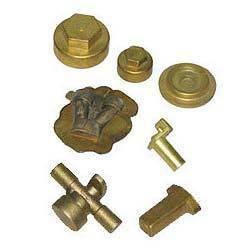 We are engaged in offering our esteemed clients with wide assortment of Brass forged components that are manufactured in compliance to set industrial norms. Our range of forged products is made of various metals like brass, aluminium, copper alloy, aluminium alloy and other non-ferrous metals. They are mainly used for varieties of applications in automobiles and chemical industries. Further, our range of forged components can be modified as per client requirements. Additionally, we market these components at leading market price. We specialize in Non-Ferrous Brass Metal Forgings that are precision made in the supervision of expert professionals having prolonged expertise in this field. Further, we manufacture this Non ferrous Brass Forging by high grade raw materials that are procured from reliable vendors. Additionally, our range of products is light weighted, highly durable and resistant to corrosion. Moreover, our skilled professionals ensure that superior quality products are delivered to our clients in stipulated time frame. Also, we offer these Non Ferrous Metal Forgings at highly competitive price to our valuable clients. Packaging Details: Good quality Corrugated box as per customer demands. 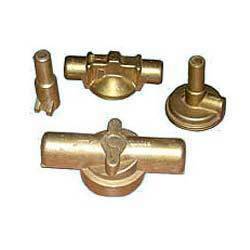 We are engaged in offering our esteemed clients with a quality assured range of Brass Forged Water Meter Body. Moreover, these products are highly appreciated worldwide for their high efficiency, wear and tear resistant body and longer service life. Further, we manufacture these products superior quality materials in compliance to international standard of quality. Additionally, our clients can avail these products in various customized options as per their requirements. We offer these products at highly affordable price to our customers. Packaging Details: Good export quality packing as per customer demands. 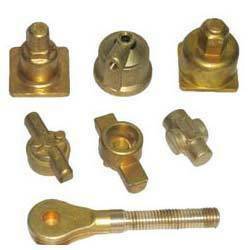 Looking for Brass Forging Components Exporters India ?